CNS Canada — AGT Food and Ingredients has announced a definitive agreement to take the publicly-traded Saskatchewan pulse and durum processing and export firm private. If all conditions are met, the deal is expected to go through in the first quarter of 2019. The buyer group, including AGT CEO Murad Al-Katib, Fairfax Financial Holdings Limited and Point North Capital, will indirectly buy all issued and outstanding AGT common shares it doesn’t already own, for $18 per share in cash. “Following a fairly lengthy process to consider the interests of all stakeholders of AGT and the future of the company, the management group, together with the other members of the buyer group, are excited at the prospect of a new chapter of AGT,” Al-Katib said in a release Tuesday. The share purchase price represents a premium of 36.7 per cent above the closing price of AGT’s shares on the TSX on July 26, when the buyer group first announced its intent for the company. As of Tuesday morning, AGT will stop paying any further dividends on its shares, whether the privatization is completed or not. AGT stock hit its market high in May 2016 at over $40 a share but has since fallen steadily in value as trade issues have hit the pulse crop market. India, Canada’s largest pulse buyer, has placed tariffs on pulse imports into the country. 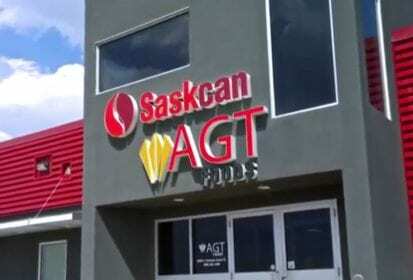 Regina-based AGT has diversified in recent years, acquiring railways and increasing its holdings in food processing. It also recently became part of the Arctic Gateway Group consortium, which now owns the Port of Churchill and Hudson Bay Railway. A special AGT committee which reviewed the privatization deal, receiving advice from independent financial and legal advisors over the past few months, unanimously recommends the company’s board and shareholders approve the deal. It will require approval from at least two-thirds of votes cast by all common shareholders. The buyer group represents about 17 per cent of AGT shares, according to its July 26 announcement. TD Securities provided the special committee with an updated opinion that as of Monday, the fair market value of AGT’s common shares is between $17 and $21 per share. AGT stock closed Monday at $15.84 per share. AGT shareholders had spoken out against the privatization when it was initially announced. Letko, Brosseau and Associates, a Montreal investment management firm, said in July it believed the proposal “significantly undervalued” AGT. Letko Brosseau, which said it holds an 18.7 per cent stake in AGT, reiterated Tuesday it still plans to vote against the proposed going-private deal. The deal will be subject to approval from the Ontario courts as well as regulatory approval in Canada, the U.S. and other countries where AGT operates or owns assets. According to AGT’s website, those include Turkey, Australia, China and South Africa. The privatization agreement also prohibits AGT from soliciting competing bids and imposes a break fee of $11.5 million, payable to the buyer group, if the company instead pursues another offer or changes its recommendation to shareholders. — Ashley Robinson writes for Commodity News Service Canada, a Glacier FarmMedia company specializing in grain and commodity market reporting.